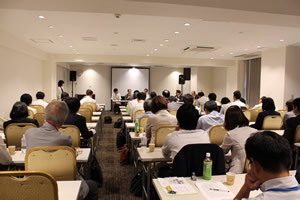 On the 27th of June, ICAAS Japan branch hold the 20th memorial Amino Acid Seminar in Shinagawa, Tokyo. 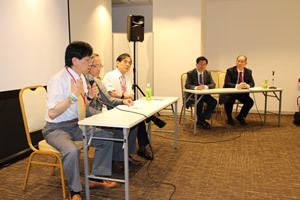 More than 60 amino acid experts from academia and medical practice participated in the event. Three original lectures (see below) were held, focusing on physiological functions of small food peptides and relationship between amino acids and adult disease. Special attention was put on the role of amino acid in nutrition of elderly and in promotion of healthy aging. After the session, ICAAS Japan organized a party celebrating all twenty previous Seminars making a ground for continuous networking among amino acid experts in Japan. Physiological function of peptides derived from food through the hormones in digestive tubes.